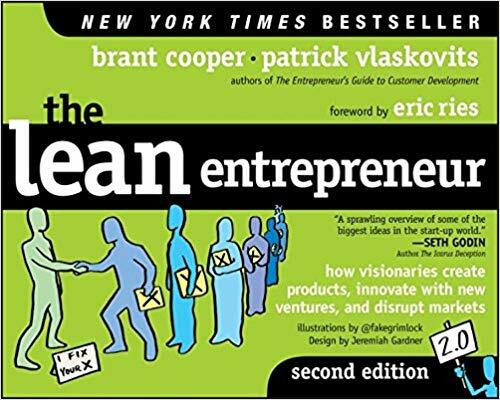 I found this book most useful of the lean startup related books. The roadmap at the end is gold, and worth referring back to regularly when you aren’t sure what to do at a given stage of growing a business. Job 1: Is There a Solvable Problem? Leave the comfort of your home and go find one person who is emotional about the pain or passion you are addressing. If you are a B2C play, find nine more to complete your LE Team of 10. If you are a B2B play, find two more to form your LE Advisory Board. If you are creating a multi-sided marketplace, serve both sides. Look for patterns in the people you compile. Job 2: Is the Solution Tenable? Additionally, qualify your LE Team of 10 or LE Advisory Board. Find 10 (3) people who are excited about your high-level solution idea. If necessary, fill out your “team of 10” (Advisory Board) with new blood (starting from the beginning). Engage your LE Team of 10 or LE Advisory Board during product development. Is the customer on right platform? Perform usability testing with competitive products. Conduct a “high hurdle” experiment. Change the segment (start over). What is most uncertain about your business model? Validate customer will do in product what they’ve said they’d do. Develop discrete functionality that addresses the pain/ passion. If you lose members of the Team of 10 or Advisory Board, refill. Developers should have the guts not to develop. If Team of 10 or Advisory Board members are not passionate, refill. Turn your Team of 10 (3) into a team of 20 (6). Learn “passionate”; increase speed of customer acquisition. Create cross-functional teams charged with achieving specific objectives based on data that moves the needle of the business. Validate that you can reach them. Validate what messaging and positioning resonates. Validate what makes customer trust you. Validate what convinces customer to buy.